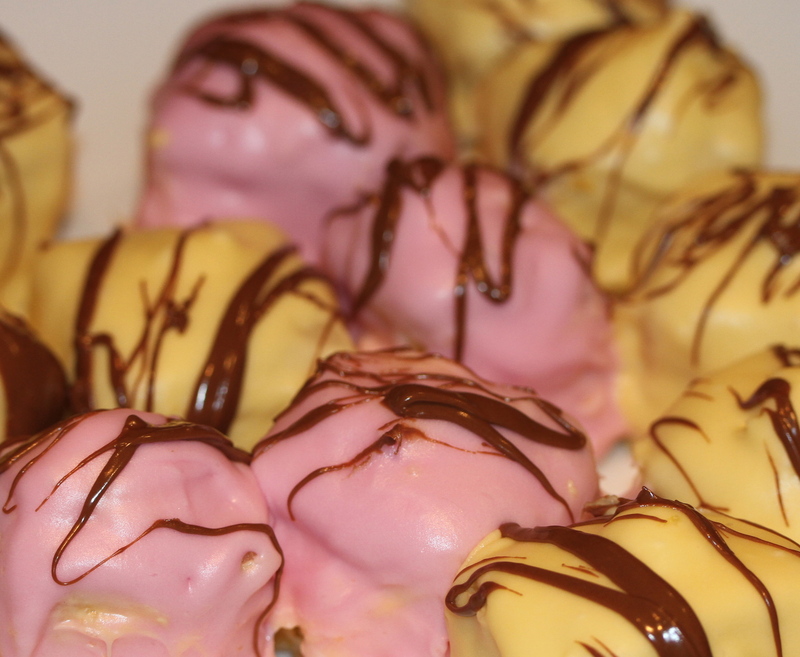 After such a disaster last week I decided to try out French Fancies again. This time they worked out better because I made some changes. 1. The cakes weren’t as tall because I baked them this time in a larger tin which meant the mixture spread out more so they weren’t as tall as last week. 2. I covered the cakes with butter icing on five sides but last week I only covered the top. This meant that the icing stuck to the cake better. 3.The fondant was smother because I spilt the icing into batches so I didn’t get lots cake crumbs in the icing. 4. I googled lots of sites to find out the best way to make French fancies and also the best way to do the fondant icing fondant . So this week I’m much happier with my bake.